It’s that time of the year again! Everyone brace yourselves. Every year we seem to go through the same rituals. 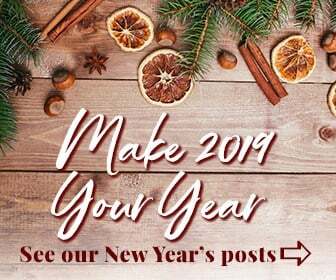 That last-ditch effort to brave the hectic shopping malls and get our last minute Christmas gifts; frantically preparing food for Christmas lunch/dinner, and celebrating the turning of the clocks with our optimistic New Year’s Resolutions. Like most people, I am not the exception. It is a crazy time of year, but we wouldn’t want it any other way! One of the things that I do religiously every year is to make a few New Year’s Resolutions. Also, like every year, I vow to stick with them for the remainder of that year. But also like every year, I tend to make resolutions that are too ambitious, and in a way, I am always setting myself up for failure. What is a New Year’s Resolution? So what exactly is a New Year’s resolution and why do people make them? A New Year’s resolution is a goal or a promise that people make at the beginning of the year, in an attempt to improve their lives in some way. According to the Urban Dictionary, it means ‘a goal that you propose then forget the next day.’ If this is what Urban Dictionary states, it just goes to prove that people make these resolutions with no intentions of actually obtaining them. It has become a pledge that people believe they should make at the beginning of the year, simply because it’s a tradition to do so. But that does not need to be the case! Every year, I always make these resolutions, and every year, I forget about them a few months later. However this year, in an attempt to be more successful, I’ve decided to have a better think about which resolutions I’ll make. I’m also drawing up a spread in my bullet journal to help me stay focused and motivated to obtain them. 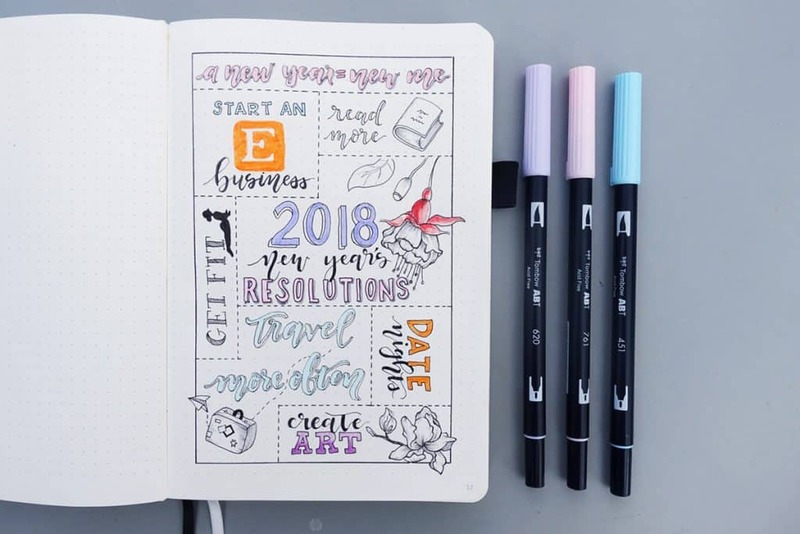 I decided to do one spread with an overview of my main New Year’s Resolutions and goals for the new year, and then in the future, a supplementary spread next to it to really roadmap how I can work towards achieving those goals. For my New Year’s resolutions spread, I decided to create it at the front of my bullet journal, amongst all of my master trackers spreads. I am starting fresh with a new notebook for the new year, which means I have empty pages at the front of my notebook to create it there. However, you can create your resolution spread anywhere you want and just reference it back in your index. I’ve included drawings and illustrations in my spread to help beautify it. Making the spread look pretty and aesthetic encourages me to want to turn to the page and review it on a regular basis. There are no rules though; you do not need to add illustrations or embellishments to make your spread successful. It is purely a personal choice, and you just do what works for you. Some people are more productive with a minimalistic approach, so that works perfectly for them. If writing it all down with no other distractions works for you, then you should absolutely do that. It’s all about what makes you the most productive and committed to your goals. Pick a resolution that you know you can realistically obtain. 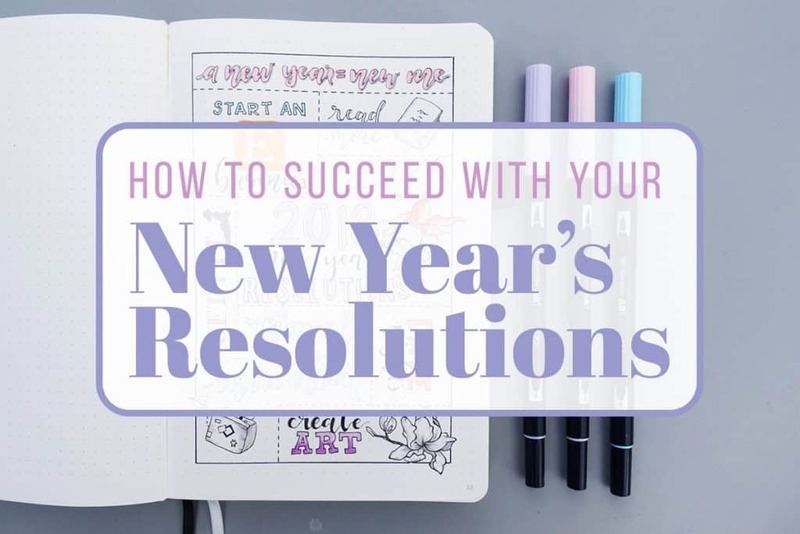 There is no point in creating a New Year’s resolution that is completely out of reach, you would only be setting yourself up for failure. 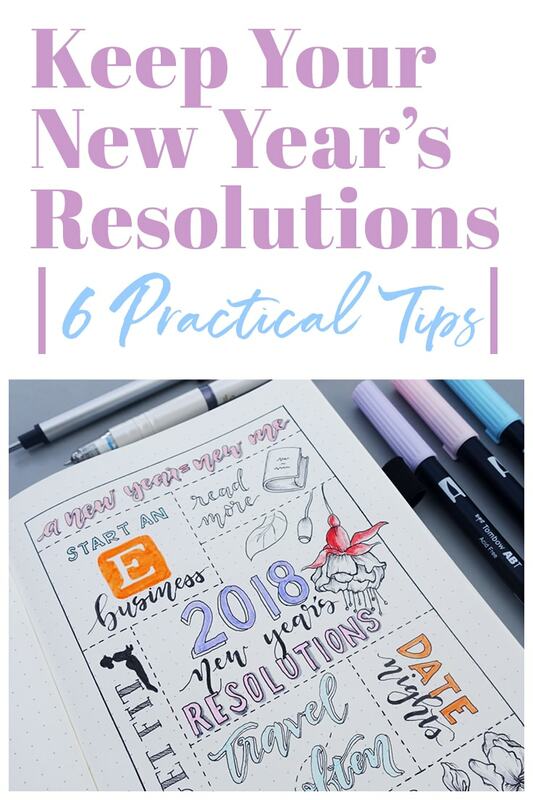 It’s best to concentrate on one main goal that you can strive towards for the whole year, then have smaller goals that you can obtain throughout the year. This way you can achieve these goals in a shorter time frame and tick them off throughout the year. Ticking things off will help keep you motivated to work towards the bigger goals. For me personally, I use my bullet journal daily so having it written there means I have constant access to it. Seeing the spread each day also keeps those resolutions constant and at the forefront of my mind. If you have something written down, there is a constant reminder that things need to be done. If you make resolutions, it’s important to list them all down somewhere so that you don’t forget it and it will help keep you accountable. Make it a habit to review your New Year’s Resolutions page at least once a week/month. Schedule it into your day, and make sure to stick with it. Re-reading your resolutions on a regular basis will help encourage you to keep on task in obtaining them. Tick off your successful resolutions as you achieve them. The euphoric feeling of ticking something off will motivate you to continually strive to do more. Have fun with it. Making it fun encourages you to continue to stick with them, which would, in turn, help you to remain motivated and on track. Like any habit, whether you’re trying to break it or establish it, needs commitment and focus. To realistically achieve it, you need to track it. 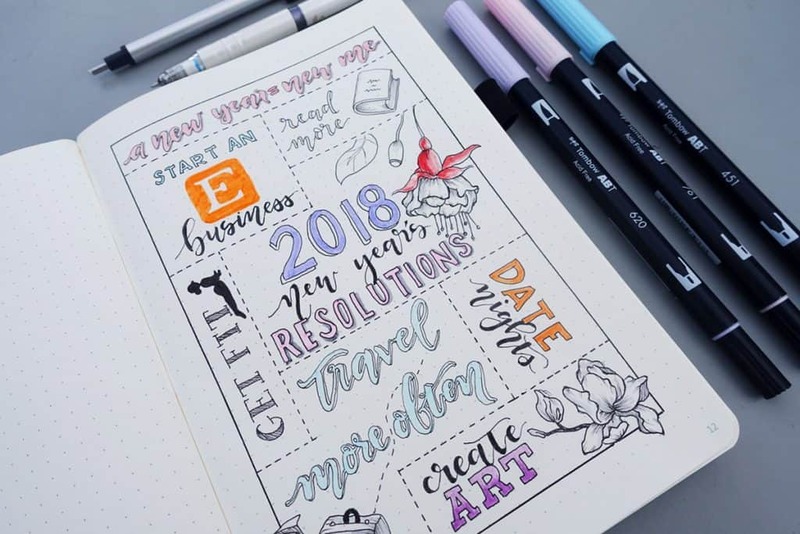 The bullet journal is a great vehicle for that; trackers are what it’s known for. But in saying that, you don’t need a bullet journal to track, you can use any planner or notebook to do so. How you track it depends on you and your needs. Take some time to think about how you can track it most efficiently for yourself. For me, having a master tracker spread of my New Year’s Resolutions will hopefully help keep me motivated and on task. I hope this article has inspired you to create your own list of New Year’s Resolutions. Comment below what your resolutions are for the new year and any steps you are making to achieve those goals. Hi, my name is Kim and I'm a bullet journalist who lives in Australia. I am the face behind @bumblebujo on Instagram. When I'm not planning and creating things, I love to spend time with my family. I have a background in Finance but love all forms of crafts and creativity. I am a self-taught artist and believe that anyone can learn through practice.